Delta has been very forthright about how they see their most frequent customers, and the perks those flyers value most. Two years ago they made clear that they saw the end of first class upgrades coming. They were already earning revenue from sale or upsell to first class for 57% of their seats up front, and they were working to push that to 70%. They didn’t want upgraders in those seats, they wanted revenue (in any amount). Now Delta calls their extra legroom coach product a separate cabin and “upgrades” elites into that. “Comfort+” is the new upgrade. This past week Delta’s CEO made the point again. Ed Bastian appreciates the loyalty of customers (customers giving them money frequently) he doesn’t think they should get first class upgrades in return. BNSethna , i thank you .. Also in what way is Mr. Bastian softening ?? has there been more information provided for the 2019 program ? Have a happy and healthy 2018. Look for day-of-departure Medallion upgrades to Delta One on domestic flights. ENJOY DOMESTIC DELTA ONE® UPGRADES. Starting April 1, 2018, you’ll be eligible for Unlimited Complimentary Upgrades to Delta One on all domestic flights. You’ll be notified of your Complimentary Upgrade within hours of your departure time. EXPANDING DELTA ONE ACROSS THE COUNTRY. GET MORE OUT OF BEING A MEDALLION MEMBER. 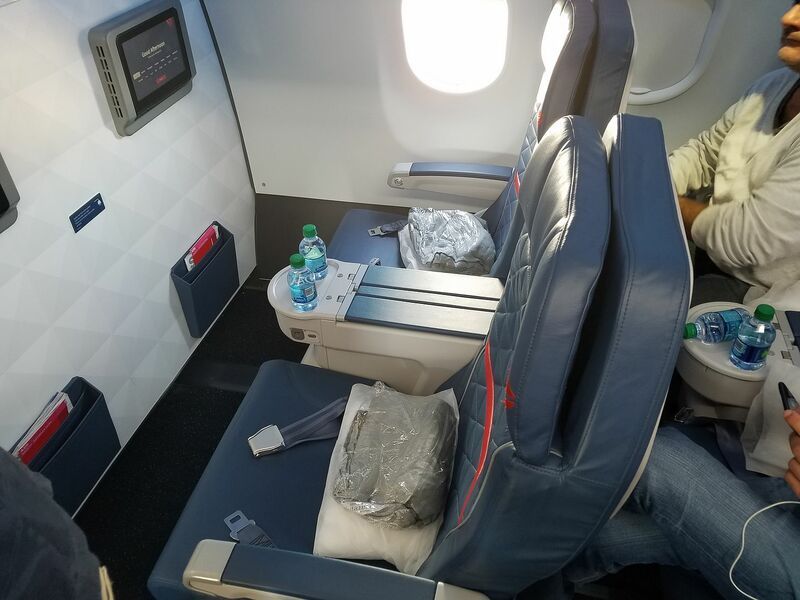 Your satisfaction with the Medallion Program is very important to us, and we are thrilled to bring you industry-leading Complimentary Upgrades to Delta One on domestic flights. Thank you for your continued loyalty.